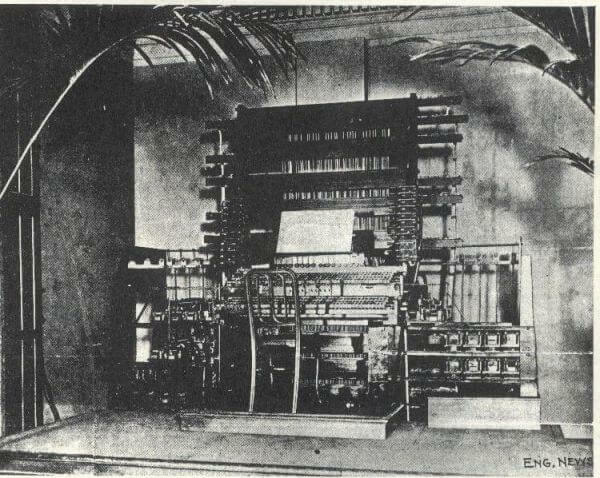 Built in 1901, the world’s first synthesizer has almost entirely disappeared. No recordings of the machine exist today. Using electrical signals to create musical notes that were sent over a phone line, generated by an electric motor that doubled as an amplifier, the synthesizer known as the Thelharmonium was the very first machine to use a technique named by its inventor (Thaddeus Cahill) “synthesizing”! What a find by the excellent magazine Popular Mechanics.